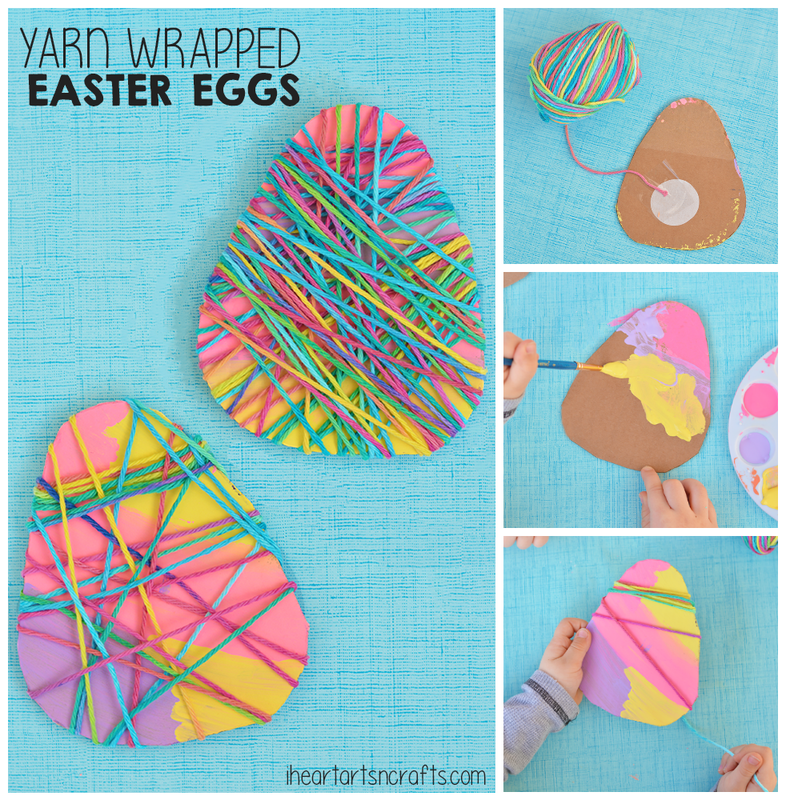 This week we made these super simple Yarn Wrapped Easter Eggs and they turned out so cute! The kids wanted rainbow eggs, so we made them as colorful as we could with rainbow ombre yarn and some pops of bright colored paint for the base of the egg. 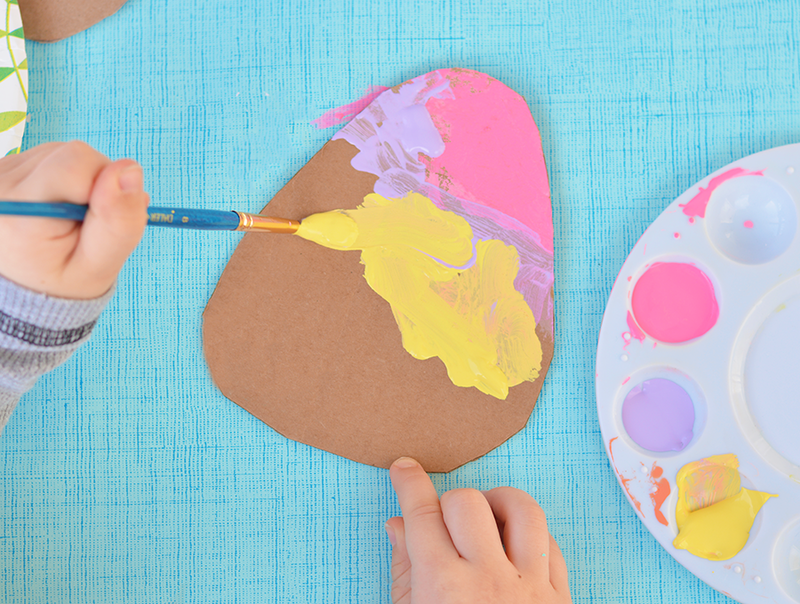 These colorful eggs are a great activity for building fine motor skills and would look gorgeous strung up as an Easter garland when you’re finished! 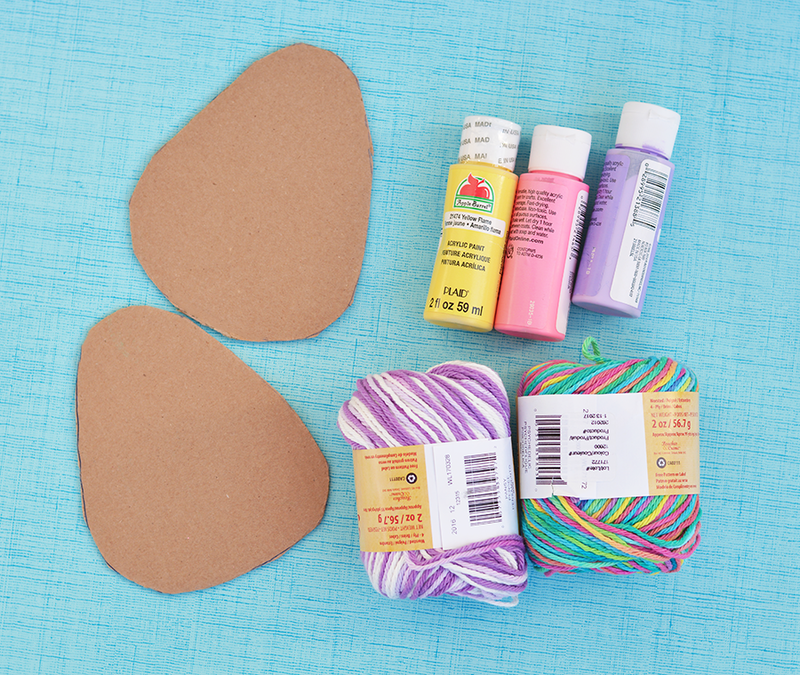 First you’ll want to trace your egg shapes on a piece of cardboard and cut them out. Once you have your eggs cut out you can start painting them! We picked out some bright Spring colors for our eggs. After you’ve painted and your egg has dried, you’ll want to take your yarn and tape the end of it to the back of your egg. Then you’re ready to start wrapping! 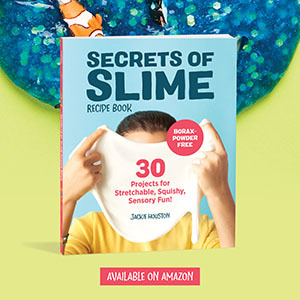 I had a three year old and a five year old do this craft and one used almost a whole ball of yarn and the other one wrapped it only a few times. 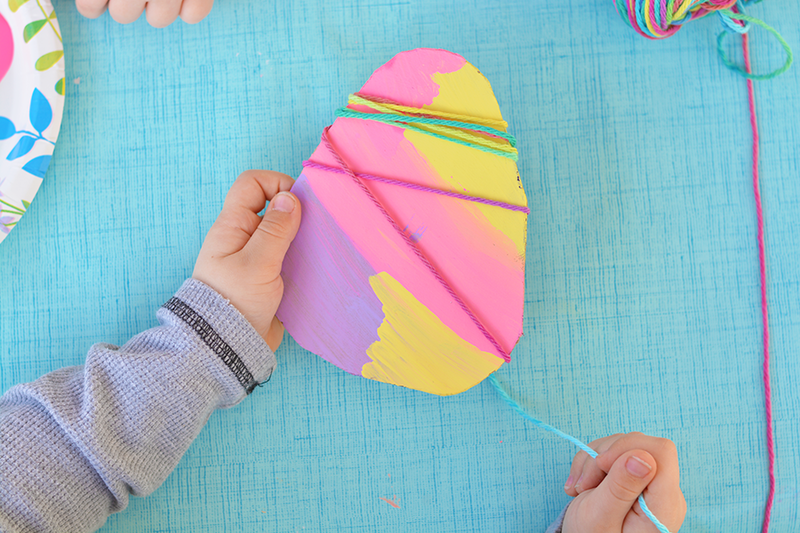 The yarn the kids picked out for this craft was a rainbow ombre one, but you could also do solids and create different kinds of patterns with the yarn on your eggs. Get creative! Happy crafting!